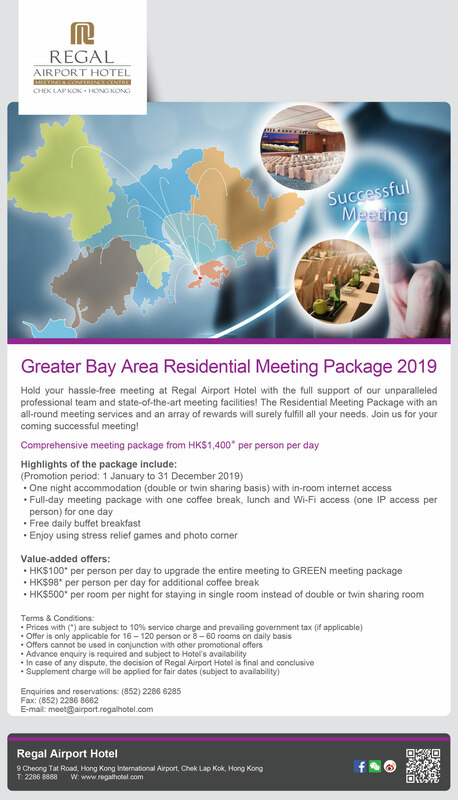 Regal Airport Hotel, Meeting and Conference Centre, is the only hotel directly connected to the passenger terminal of Hong Kong International Airport by an enclosed link bridge with 1,171 guest rooms. 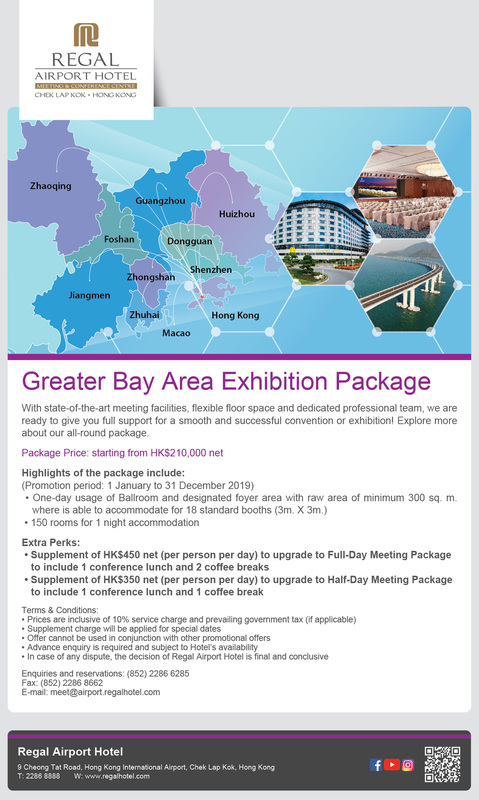 Featuring world-class meeting facilities including 30 breakout rooms and one of the largest pillar-free grand ballrooms in Hong Kong with a high-definition LED wall of 9-meter x 4-meter high, Regal Airport Hotel is a perfect venue for a range of functions from small-scale seminars to large-scale conventions to be held under one roof, High-tech MICE facilities such as the first MICE app in Hong Kong and MICE Booking Link are introduced to facilitate meetings and manage bookings delegates. Distance From Airport: 321.9 km. Distance From AsiaWorld-Expo : 2.4 km. Total Meeting Space: 2958 sq. m.
Largest Meeting Rooms: 1050 sq. 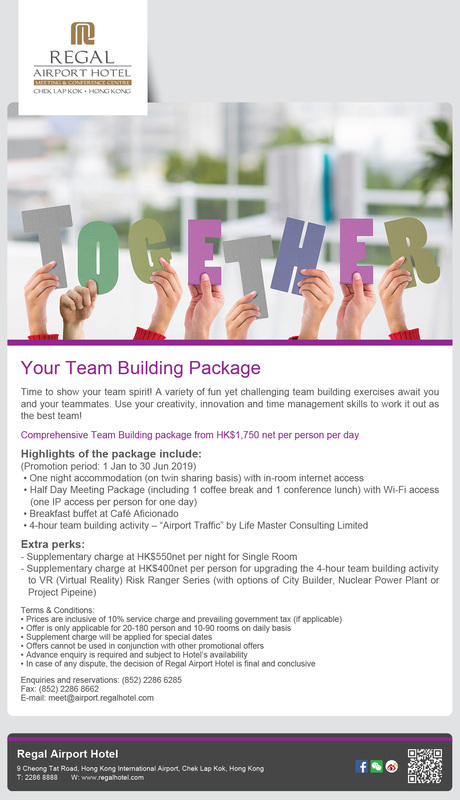 m.
With state-of-the-art MICE facilities, flexible floor space and dedicated professional team, we are ready to give you full support for a smooth and successful convention or exhibition! Explore more about our all-round package.